Earth moving equipment charge air coolers provide better power, lower operating temperatures, better fuel efficiency and better equipment performance for your industrial and earth moving equipment. Charge air coolers are an essential part of your earth moving equipment operation, and you deserve to know that when you need one, it will be available. At Ellet Radiator, we’ve built our business on testing, repairing and recoring charge air coolers. Ellet Radiator prides itself on being a local company that offers the attention to detail and personal attention you’ve come to expect out of local businesses. Whether you’re in need of same day service or immediate phone assistance, we are ready and available to work with you. We maintain a vast parts inventory and connections to warehouses and distributors that allow us to access any of the parts you may need, when you need them. As a result, we can special order replacement earth moving equipment charge air coolers for immediate delivery and match or beat competitor prices when it comes to repair and replacement. A noticeable loss in engine power, increased fuel consumption, or elevated coolant temperature in your earth moving equipment means it’s time to contact us and take the first step toward getting your earth moving equipment charge air cooler back into working order. 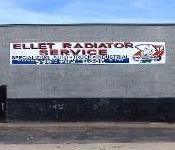 Service and customer satisfaction are the foundation of our business at Ellet Radiator. With so many radiator shops to choose from, you’ll want to ensure you choose one that offers the best in service. 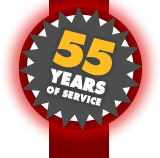 At Ellet Radiator, we have built our reputation on 55 years of dedicated, dependable experience, cutting edge technology, and first-class service at a fair price. Fill out our contact form today. Whether you need your earth moving equipment charge air coolers tested and repaired or you need replacements, we are your number one source for all your heavy duty charge air cooler needs. Contact us today!